It’s almost Halloween and that means it’s time to break out all of your favorite candy corn recipes. 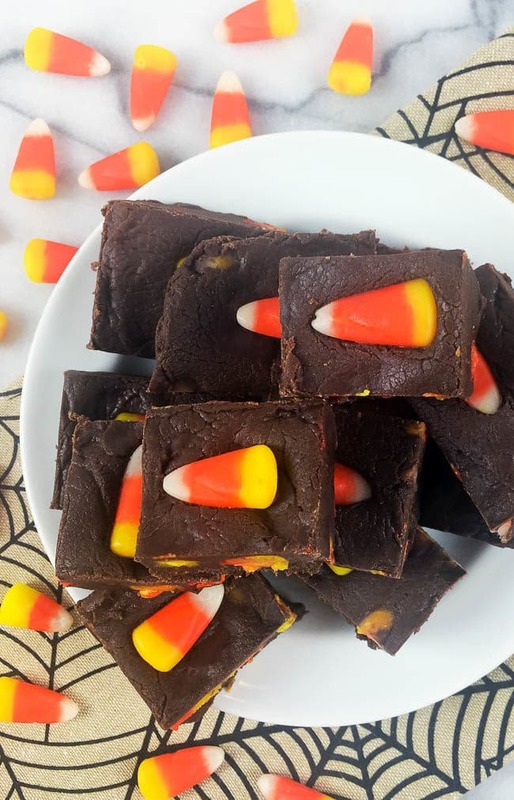 In my mind, Halloween treats should be super-simple and this candy corn fudge recipe couldn’t be easier. Making fudge always seemed like such a laborious process when I was a kid. I can remember my mom fretting over her fudge setting up properly. 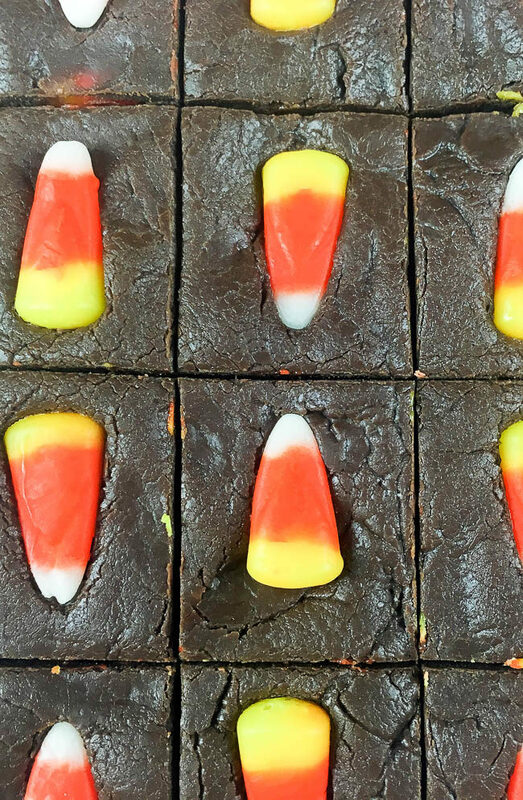 This easy candy corn fudge is a no-fail recipe that absolutely anyone can make. Don’t believe me? See how easy it is in the video tutorial below. See? I told you, super easy. You really can’t beat a fudge recipe that you can make in the microwave. 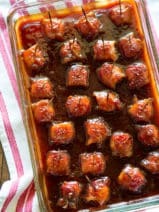 I love this recipe because I usually have the base ingredients on hand, and I can use any type of candy as mix-ins depending on the season. Of course, if you don’t like candy corn it’s an easy fix. 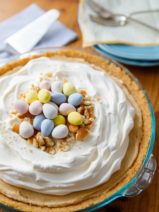 Either leave it out completely or replace the candy corn in this recipe with another candy of your choices. Reese’s Pieces would be a fantastic substitution! My little boy always asks me to make this fudge because he’s such a huge fan of candy corn. Candy corn is one of those foods that you either love or you hate. Sort of like Peeps at Easter time, which for the record, I despise—haha! Don’t tell anyone, but candy corn isn’t my favorite type of candy. I could take it or leave it, but I make this fudge for the other candy corn fans in my crew! I hope you enjoy this super simple candy corn fudge recipe. Be sure to pin it so you can make it later. You’ll also want to check out my ultimate list of Halloween desserts to try this season. There are some real jewels on the list. 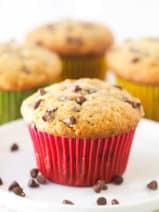 Combine semi-sweet chocolate chips and sweetened condensed milk. Microwave 3-5 minutes (on medium heat). Remove twice during heating to stir and ensure chocolate is not overheating. 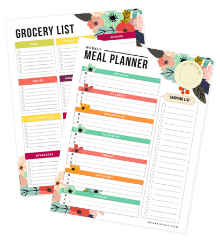 Line 8×8 dish with parchment paper. Pour chocolate fudge into dish. Using a spatula or spoon, evenly distribute fudge. 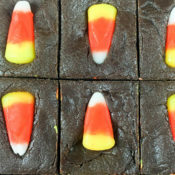 Add candy corn to top by pressing each piece into fudge (whatever design you prefer). Remove from refrigerator. 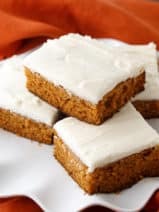 Cut into bite-size squares. Enjoy! I’ma bit disappointed. 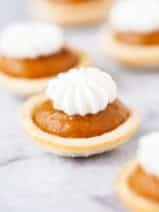 I was looking for a white candy corn recipe I used to have. I’m sure this would be great tho w/o the candy corn!